As the current administration reshapes the government budget and immigration enforcement policy in this country, we are interested to understand the impact of these efforts on human trafficking survivors in your communities. As front line advocates and direct service providers, you have a unique window into the current needs of human trafficking survivors that are unmet because of funding limitations as well as the impact of new immigration enforcement policies on survivors and anti-trafficking efforts.  CAST, Freedom Network USA, and Polaris invite you to fill out a survey regarding your experiences with survivors of human trafficking. The survey is for social service providers, advocates, and attorneys who provide direct social and legal services to survivors of human trafficking. The second part of the survey is specific to immigrant survivors of human trafficking. If you do not serve immigrant survivors of human trafficking please just fill out the first part of the survey. If you provide services to immigrant survivors of human trafficking, the survey will ask you additional questions about your agency’s experience since the administration issued the first immigration-related executive orders (January 25, 2017) to the present. The survey consists of 26 questions that require no outside research to answer. The survey will only take about 15 minutes of your time to complete. Your responses are voluntary and will be confidential. Responses will not be identified by individual. All responses will be compiled together and analyzed as a set. Thank you for taking the time to share your thoughts on this important matter. You can fill out the survey here.